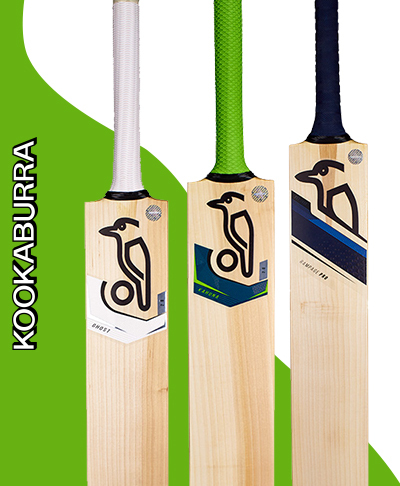 When you think about buying cricket bats, Kookaburra is one of the brands that come to mind. An Australian company that specializes in making excellent quality Cricket Bats and Balls and is the No.1 Australian Sports Brand worldwide. Kookaburra cricket bats were introduced in the early 1800’s and they went on to become one of the finest bats in the world. Kookaburra Pride themselves with the Kahuna Range as the bats are rated as the top bats by Cricket Legends such as Ricky Ponting who used the Kookaburra Kahuna during his illustrious career and has since then been regarded as the pinnacle of ranges from Kookaburra. The Kookaburra Kahuna Range has been the choice many of the top International Players like AB De Villers, Martin Guptill, and Jos Buttler. All Kahuna Bats are made from specially selected quality English Willow which is the best in the world. Kahuna Bats are handmade and carved to perfection by Kookaburra’s chosen bat makers. More than 50 different processes take place during the preparation of a Kookaburra Bat. 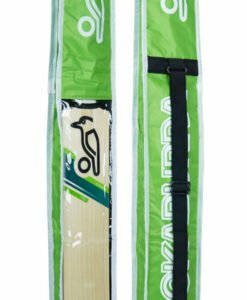 Kookaburra Kahuna has bats for everyone to suit their needs from the Kookaburra Kahuna Pro to the Kookaburra Kahuna 200 which is the cheapest bat in this range. 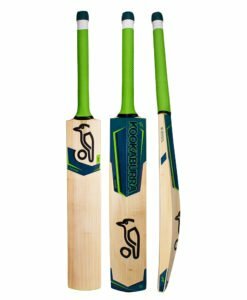 The Kookaburra Kahuna is the largest selling bat range of Kookaburra because of the raw power it produces in such a lightweight structure.The bats are regularly updated for modern cricket playing styles. The Kookaburra Kahuna Pro is at the top of the Kahuna Range and is the finest bat in this Range, The bat is made from grade 1 English Willow with a Massive Profile, which maximises at its sweet spot and provides superb balance and gives the bat a lot of power which the Kahuna range is known for. The Bat has an excellent pickup with the super spine profile which helps the player to hit powerful shots with ease. Kookaburra bats have a huge extended sweet spot which makes it possible for the player to hit powerful shots even if the ball misses the sweet spot. The Kahuna Pro is used by pros such as Brad Haddin and Martin Guptill who are among the best players in the game. In order to maximise the profile, Scallops are used on either side of the bat without compromising the weight of the bat. Scallops also help to minimise power loss with off-center shots. The Bat provides good strokeplay as the bow strengthens the grip of the player on the bat. Another Bat in this range is the Kookaburra Kahuna 2000 which is made from the best grade 1 English Willow. The bat has been at the top of the Kookaburra Range from the past 13 years and is still one of the top bats in this range. Kookaburra Kahuna Bats have their signature design of style on the bat which makes the bat look great. The Kahuna 2000 is a powerful bat with huge edges and provides excellent strokeplay. The Bat is handcrafted to perfection by Kookaburra’s expert batmakers and made to suit every players’ needs as each cleft is different from the other. 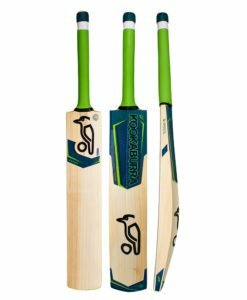 The Kookaburra Kahuna 1000 is a top of the range bat which was used by cricket legend Ricky Ponting and is considered as one of the best bats in the world due to its massive profile and excellent playability. The Kahuna 1000 is a lightweight bat but doesn’t compromise its power. The bat is made from the finest quality grade 2 English Willow also known as Salix Alba Caerulea which is considered the best willow in the world. The handle is made from Sarawak Cane with a Round Powerdrive which enhances the grip on the bat. Kookaburra has in its Kahuna Range 2 huge bats, Known as “Big Kahunas”. They are the Kookaburra Kahuna Obscene which is made from grade 2 English willow and the Kookaburra Kahuna Extreme which is made from grade 3 willow. The bats weigh in at 2lb 12oz to 3lb 2oz and are used mostly in the T20 segment due to their massive profiles. Both the Kahuna Obscene and the Kahuna Extreme have large high sweet spots. This you can expect from a T20 type bat as both the bats have large square edges and a high spine with a concave scallop of 1 to 2 mms. The bow on the blade is between 10 mm and 12 mm. The faces on Kahuna Obscene and the Kahuna Extreme are flat and both the bats possess the oval ” Power Drive” handles which is made from carefully selected laminated cane. The grip is known as the octopus design. 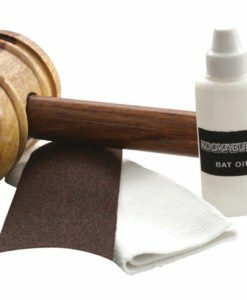 Both these bats are already pre-prepared, which means they need less preparation before use but some knocking in is recommended. Kookaburra Kahuna Obscene is the heaviest bat in the Kahuna Range which weighs around 3lbs. Even though the bat is on the heavier side it is still easily maneuverable. Kookaburra always comes up with new techniques and methods to make their bat stand out in the Market. The Kahuna Pro Junior from Kookaburra has upgraded graphics which gives it a lot of style. This is a bat that is popular among intermediate clubs in the Cricket world and doesn’t make a hole in your pocket. Every year kookaburra makes sure that the bats are being updated to suit the playing styles of modern cricket, The Kahuna Pro Junior is provided with fitting advancements or upgrades. It is designed from high-quality selected Y1 unbleached English willow, has a sweet spot of 215-235 mm, Flat Power Plus Face, a super spine, a rounded handle, and is available in short- and long-blade varieties to suit the needs of short and/or tall players. This bat is used a lot by Junior players and is a little on the lighter side for better strokeplay. Other top Bats in the Kahuna Range..
Kookaburra started making Cricket Balls in the early 1900’s and established itself as one of the best hand-made Cricket Ball Manufacturer in a short time. Kookaburra has been one of the leading Cricket Balls Supplier to major test playing nations. Kookaburra is the official red ball supplier to all the major test playing nations other than India and England. Kookaburra’s signature “turf” ball is exclusive for one day and T20 Cricket. Kookaburra has more than 125 years of experience in the Cricket Business which makes them one of the best in business. Kookaburra Turf cricket balls are used in South Africa, Australia, and New Zealand. Kookaburra currently has around 85% usage in test cricket and 100% in international one day and T20 matches. Bowlers enjoy a bit of sideways movement, batters prefer a ball that bounces consistently with no variation of movement. Kookaburra Cricket balls are tested to the nth degree but the real test takes place on the field of play and these balls have proven that they are perfect for international play. If a problem occurs with the quality of ball, it is at this point the defect materializes.